Day Two was to be a long haul drive from Mamburao to San Jose, a distance of little over 160 kms.. What would normally be a 2.5-hr. drive in excellent road conditions, took us double that. We made a stopover at surprisingly progressive Sablayan (coined from the Visayan word meaning “where the waves meet’) town, the gateway to the remote and undeveloped Apo Reef Natural Park (a 2.5-hr. boat ride), the largest atoll-like reef in the country, the second largest in the world and one of the world’s best dive spots. The park has a sunken lagoon system noted for its spectacular wall diving. Once at the town proper, we decided to take a welcome breather and check out the Pandan Island Resort. Located at the 38-sq. km. 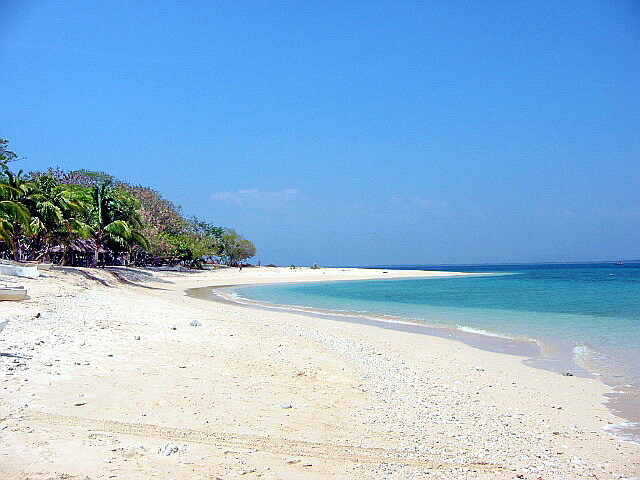 North Pandan Island (also called Pandan Grande Island), it is highly touted by noted German travel writer Jens Peters as one of his favorite islands. We parked our vehicle along a road beside the Bagong Sabang River, and hired a banca (PhP300 roundtrip) to bring us to the island. Once out into Pandan Bay and past South Pandan Island (also called Pandan Piqueño), the island’s palm-fringed, sparklingly white sand beach soon hove into view. The boat trip took just 15 mins. and soon we were walking barefoot on its Boracay-like sand. 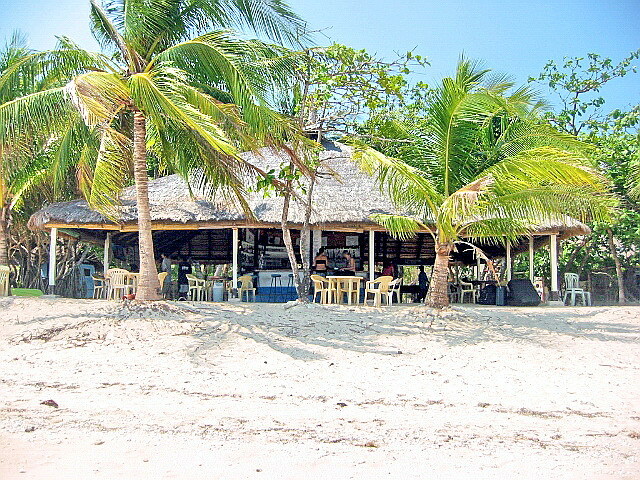 The resort, established sometime in 1993, is managed by French adventurer Dominique Carlut and his Ilongga wife Marina. 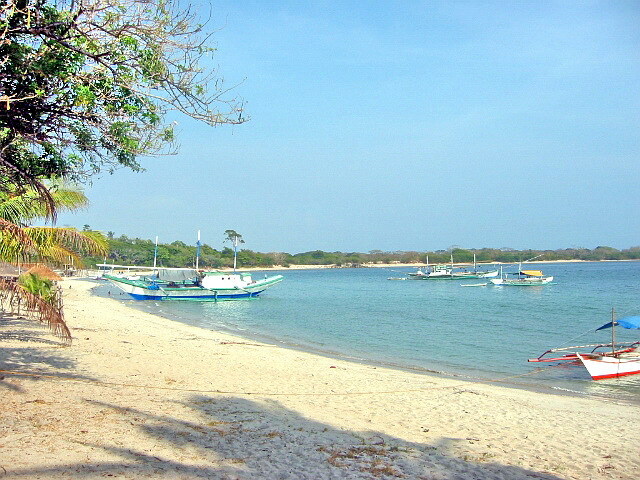 The island is much like Boracay during its early years when it was without electricity. 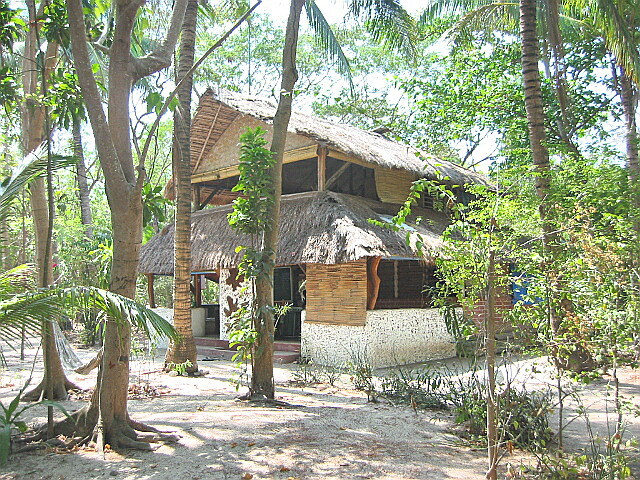 It has 16 cottages (5 budget, 10 standard and 1 family), all with their own toilet and bath. There are no televisions. 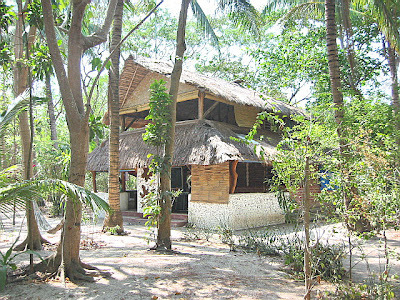 The cottages, as well as the restaurant, are all built using native nipa, bamboo and sawali, simple yet comfortable and truly in harmony with the island’s natural features. But unlike Boracay during the early years, the resort doesn’t rely on eco-unfriendly electric generators using, instead, cleaner solar energy (12 volts) to supply the lighting needs of its cottages. To charge lights, cameras, laptops etc., 220 volts (as well as an internet connection) is only available at its well-equipped dive shop (Mariposa Divers Pandan, established in 1992). For lunch, we feasted, buffet-style, on Filipino and French cuisine with its variety of fresh fish, poultry or meat with vegetables, fruits and coffee. The bar has a selection of fine, white and red French wines which you can sip while watching the sun sink into the South China Sea. In 1994, the island was declared as a marine park and thanks to this strict no fishing and “hands off” policy, the variety and density of the marine life has grown by leaps and bounds. 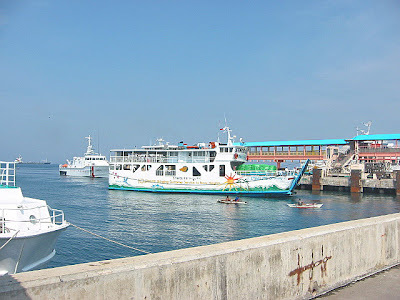 The dive sites around the island range from shallow, tropical fish-rich coral gardens, easily reached from the beach, to deep drop-offs on the island’s north, ideal for experienced divers, and reached by dive boats in about 15 mins.. 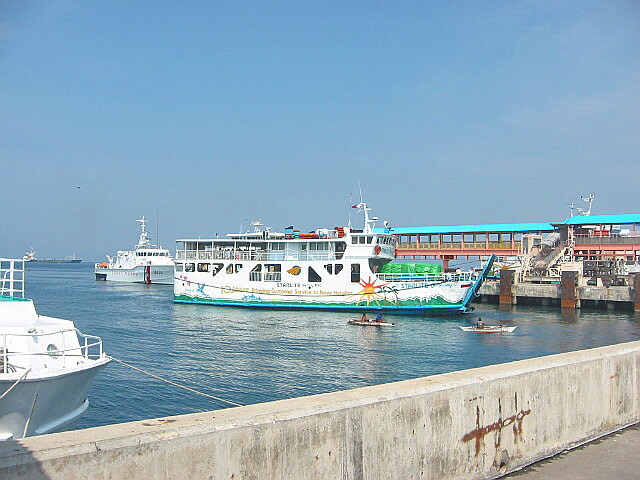 Dive safaris are available to Apo Reef Natural Park (a 1.5 to 2-hr. boat ride),and the World War II Japanese wrecks at Busuanga (Palawan). After snorkeling its coral and tropical fish-rich waters, we left the island and returned to the reality of another bumpy, 80-km. 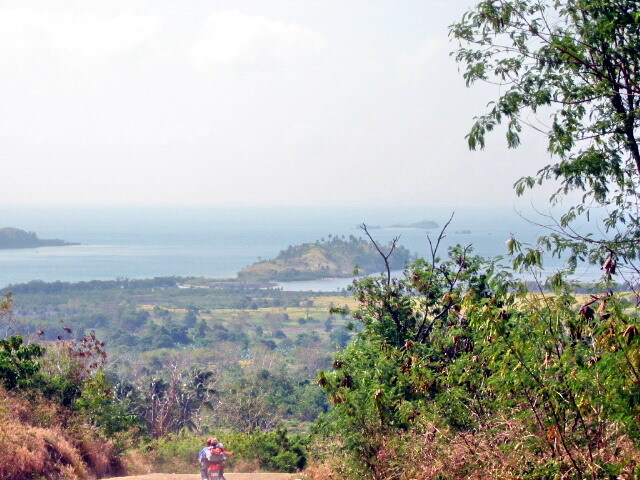 drive to equally progressive San Jose, another starting point for diving excursions to Apo Reef. 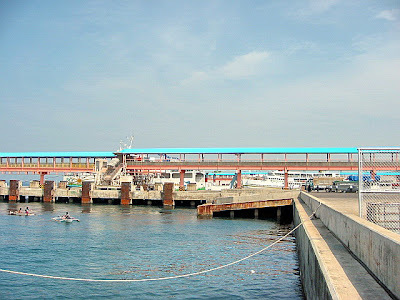 Offshore are Ambulong Island, Ilin Island and White Island. The town has an airport and a port (Caminawit Port). Upon arrival, we checked in at airconditioned rooms with bath at the Mindoro Plaza Hotel, again the town’s best. No videoke this time as we had a big next day ahead of us. 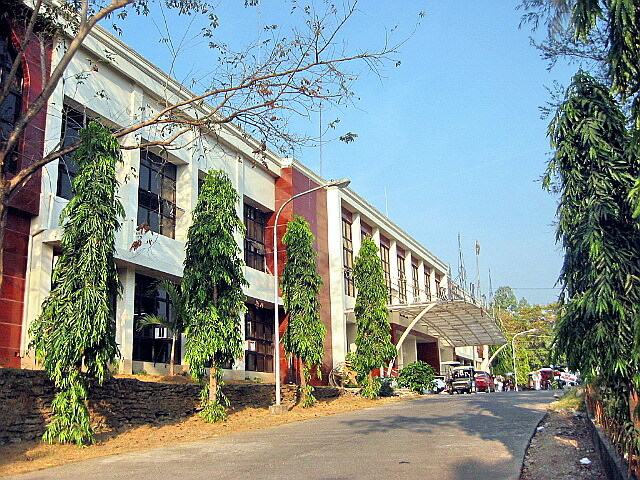 The 10,245-sq. km. 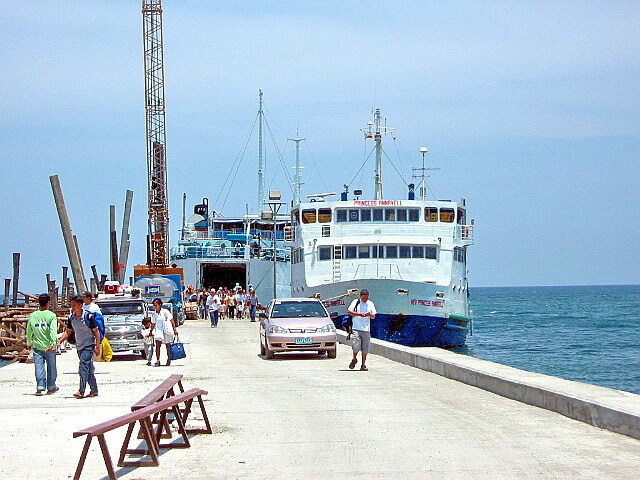 Mindoro Island, the country’s fifth largest island, remains relatively unknown in the tourism highway. Outside of Puerto Galera and what little we know of the traditionally animist, polytheistic and semi-nomadic Mangyan tribe and the rare, severely endangered and elusive Mindoro dwarf water buffalo or tamaraw (the country’s largest wild animal), very few have even heard of it. 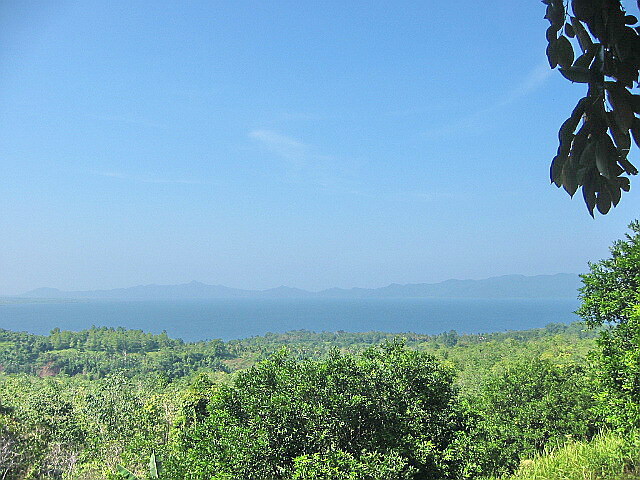 More so with Mindoro Occidental, its western part. Yours truly, together with Mr. Harland “Charlie” Kemplin of United Tourist Promotions (makers of EZ Maps), wanted to correct this sad state of affairs by creating a tourist map of the island (featuring Puerto Galera, Calapan City, Mamburao, Sablayan, Pandan Island Resort, etc. ), probably the first of its kind to be so conceived. 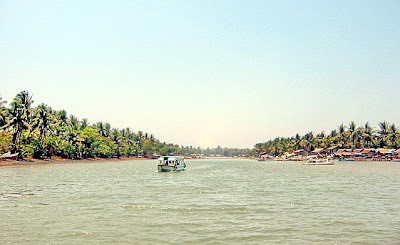 To do this, we had to experience the island, first-hand, by circumnavigating. For this purpose, we will be using the latest Global Positioning Satellite (GPS) technology plus a rugged, 4-wheel drive, circa 1994 but newly refurbished Ford Explorer. We intend to complete this island circuit in 5 days. We left early in the morning of 6 April, Charlie driving all the way to Batangas City’s International Port in a little over 2 hrs.. There are 3 entry points to Mindoro from Batangas City: Abra de Ilog in Mindoro Occidental and Puerto Galera and Calapan City, both in Mindoro Oriental. 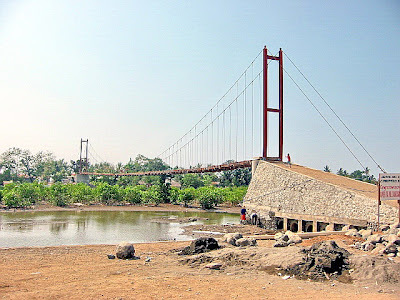 We opted for Abra de Ilog, the least traveled of the three. 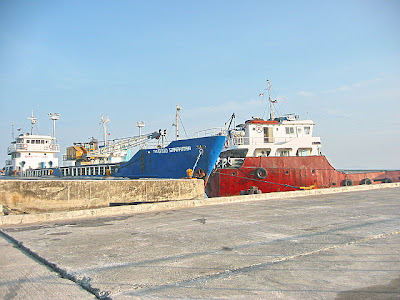 We estimated that the ancient RORO (Roll-On-Roll-Off) ferry boat we loaded the car on had a capacity for 9 vehicles but we were told it would carry 13. How this came about was soon revealed to us when 3 cars were fitted in a space ideally suited for only 2, forcing the driver to stay inside (unless he could exit via a sunroof) for the duration of the 2.5-hr. cruise with no toilet breaks. We entered last, parking where the ship narrowed at the bow, thus allowing us to get out of the car. 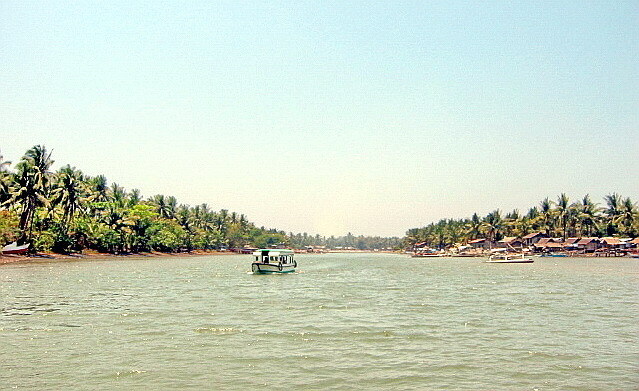 We also had the added advantage of being the first out the ship upon landing at Abra de Ilog. One thing was revealed to us before the trip: there is no road (erroneously indicated in other maps) connecting Abra de Ilog with neighboring Puerto Galera. The only way to proceed was south. 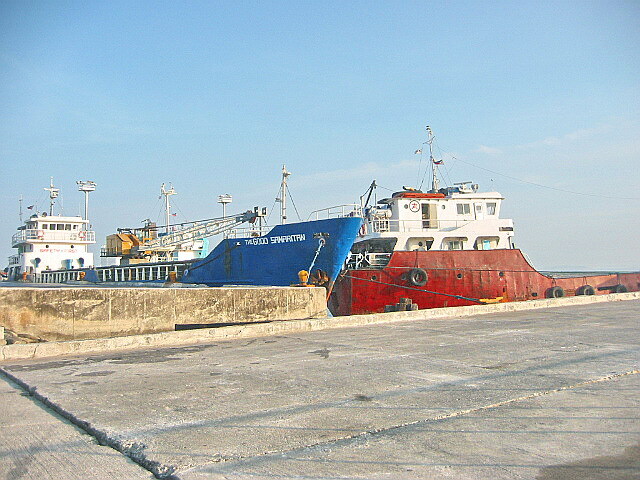 A portent of things to come was revealed as soon as we left Abra de Ilog’s Wawa Port by 2:30 PM for the 35 km. 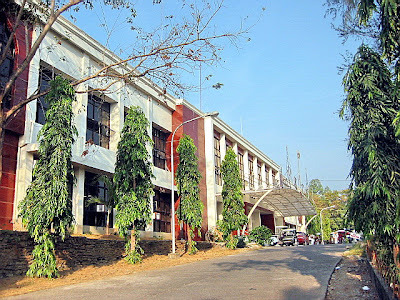 drive to Mamburao, the provincial capital. A road less traveled is probably a road unpaved and the road south was mostly such. The only comfortable drive we encountered was an 18-km. stretch past San Isidro. Upon reaching Mamburao, we made brief stopover at the town’s beautiful but short Tayamaan Beach. Next, we proceeded to the Provincial Capitol where we met up with provincial officials. We were given advanced warning of the horrendous road conditions from San Jose to Bulalacao (the first town on the Oriental side). Charlie, who did all of the driving, was having second thoughts of pushing on but, with our pioneering spirit egging us on, insanity finally prevailed. But first, we had to rest and we checked in at 2 airconditioned rooms with bath and cable TV at the upscale La Gensol Plaza Hotel, the best in town. Later that night, we sang our hearts out at a videoke, together with Provincial Tourism Officer, Ricky Martin-wannabe and namesake Mr. Benjie Datinguinoo.